Chrome OS-toting notebooks coming this summer? 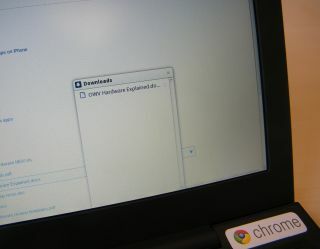 Google has plans to release its Chrome OS-running notebooks in summer 2011, if anonymous sources are to be believed. The eponymous search engine has already started touting its CR-48 notebook prototype, which we weren't entirely convinced by due to its reliance on the internet browser and slight operational lag. Google is hopefully taking some time to iron out these niggles, with Neowin reporting that the devices are set to be released for purchase in late June to early July 2011. The same sources told the technology news site that Google will yet again be trying a somewhat experimental distribution model. Remember when it tried to sell the Google Nexus One direct to consumers and the whole scheme fell flat on its face? Well, this time it's trying to lease the Chrome notebooks as part of a subscription model bundled with premium Gmail accounts. The source said that Google is planning to offer the notebooks to users for around $10 to $20 (likely to convert to £10 to £20) per month, with hardware upgrades as part of the package. If you're not up for yet another subscription, it seems that Google will also be offering the notebooks as a standalone purchase, but is unlikely to sell them directly itself.